May buy 1 for yourself and 1 additional as a gift. May redeem 1 per group/visit. Must use entire value in 1 visit. Not valid for alcohol. Expires 4 months after purchase. See the terms that apply to all deals. 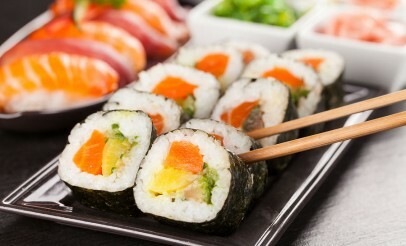 At Kobe 101 Asian Cuisine, you can choose from traditional Asian food such as sushi, curry, and soup. Click to view the Japanese Menu or Filipino Menu. Kobe 101 Asian Cuisine is a new restaurant in Sandy, Utah serving authentic asian food from Japan, Thailand, and the Phillippines. In addition to dining and catering, they have a reception center that can be used for weddings and events.